I recently received a gift from someone I love. It's vintage, and therefore, used, but I think that adds to the charm. Want to see? What's this? Not what you were expecting? 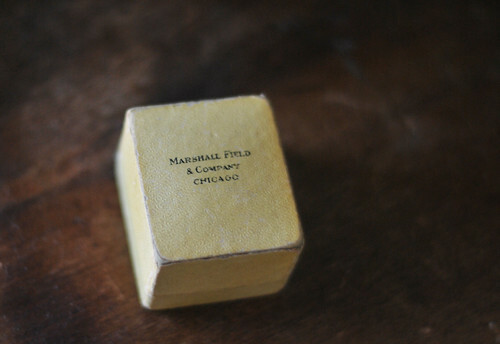 Who knew that thimbles came in such fancy boxes?! 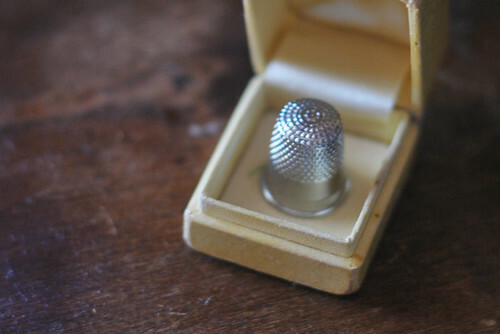 But as you can see, this box was made purely for holding this very shiny, very lovely thimble. That's pretty darn special. Thanks for the reminder (unbeknownst to you) to remember all my grandpa gave me. Lovely! What a sweet gift! That's very special, Mollie. Great that Papa knew the perfect thing for you! love love love it. what a neat gift. I love it! What a wonderful gift! Oh how sweet. Who'da thunk! 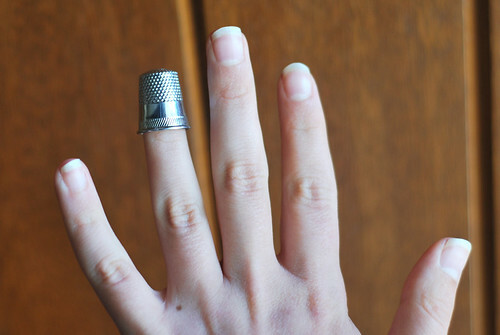 A fancy thimble. Very lovely. How special! Your grandpa must love you a whole bunch! Awwwwww! How sweet! 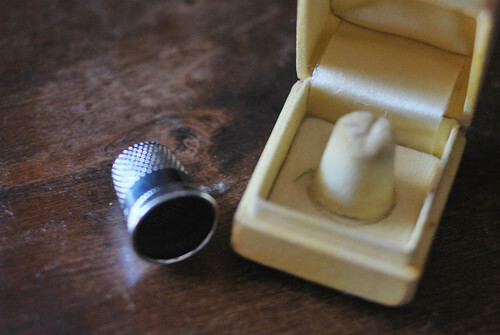 I have my grandma's thimble. It was her mother's and it's sterling silver. I love it! That is a sweeeet Grandpa you have. Awww... Thanks for the smile. what a a lovely little box it came in. my heart skipped a beat, too when I saw that-what a cool gift!